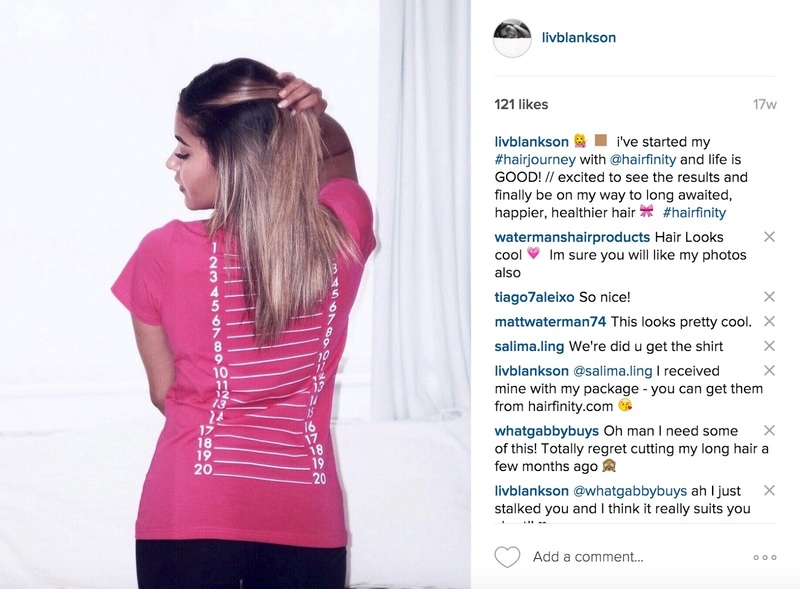 Hairfinity Results // My Hair Journey and Experience | liv in fashion. Picture a 14 year old, mixed race girl with half-Afro and half-English genes which blended together to create perfect, shiny, corkscrew ringlets all over her head; the kind of curls you only imagined on dolls and that could surely not be created without man-made tools?! That was me. I was that geeky teen with a head full of beautiful curls that adults would fawn over, remind me how lucky I was and tell me to never change...and I hated them. Surrounded, everyday, by girls my age, getting all the male attention, with long, luscious, straight hair, styled in whatever way they desired and not having to stick to the few, unconventional hairstyles that suited corkscrew curls (the aptly named 'pineapple' being one of them), I wanted in...and apparently my step mum's home chemical straightening kit for AFRO HAIR was the way to do it. As you can imagine, it only ended in disaster, fried hair and a whole load of tears (from my mum and eventually myself, once I'd realised what I let myself in for). Cue the total 9 inches of damage chopped from my head, ringlets gone forever and whatever ounce of life and health that once lived, SAPPED and we've reached the pinnacle of my sad, sad story. Later came the multiple dye jobs, everyday straightening and eventually, bleaching, so it's fair to say my 'hair' had lost its right to that noun and could from then on, only be referred to as straw. Thankfully, I have a gem of a hairdresser who put all of her efforts into turning the condition of my hair around by banning me from straighteners, giving me different oils and smothering it in intense treatments. My straw eventually began to resemble hair again but it still hadn't properly grown in over 5 years and was thoroughly lacking any kind of L'Oreal shine. Always the skeptic about most things in life, hair vitamins were one of them and I just assumed they were another expensive fad. My sister regularly buys the hair and nail vits you can get in your local pharmacy/drugstore, so I figured it couldn't hurt to give one of the most popular brands a try. Expensive would be the correct word to describe them IF you are comparing them to standard, less concentrated, over-the-counter vitamins, and 'fad'? We'll move onto that in a second. 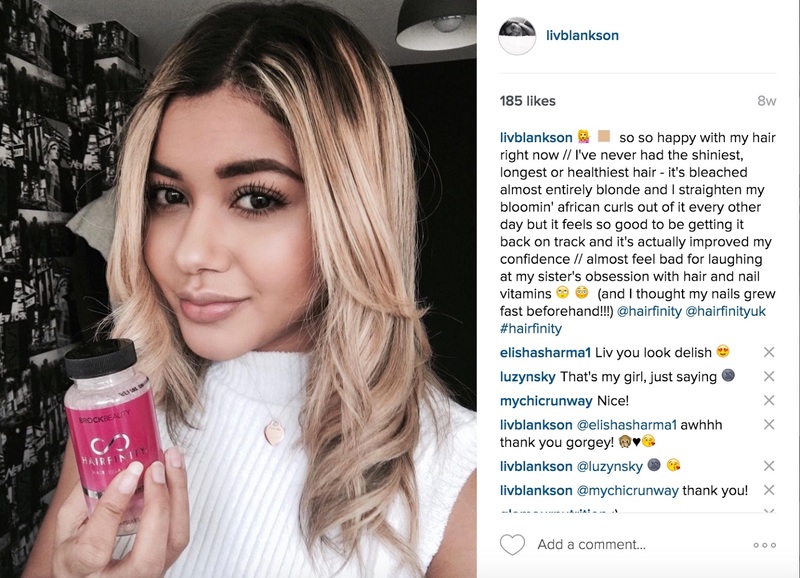 I was, very kindly however, given the opportunity to test Hairfinity for 3 months, in return for giving my honest opinion of the results on bleached hair - so that's exactly what I'm going to give you! The breakouts I experienced at this time were pretty minimal and consisted of tiny pimples only on the tops of my cheeks, as written above, where I usually react to products my skin doesn't want to be friends with! They weren't much of a bother and could hardly be noticed with make up on, though, were a little red when barefaced. I tend to malt a lot, hair-wise, anyway, so I can't really comment here on the hair loss claims but there was certainly no increase (we're all very used to a hairy house already - my mum and sister are the same. Oops!) and in fact, my hair already seemed noticeably thicker. 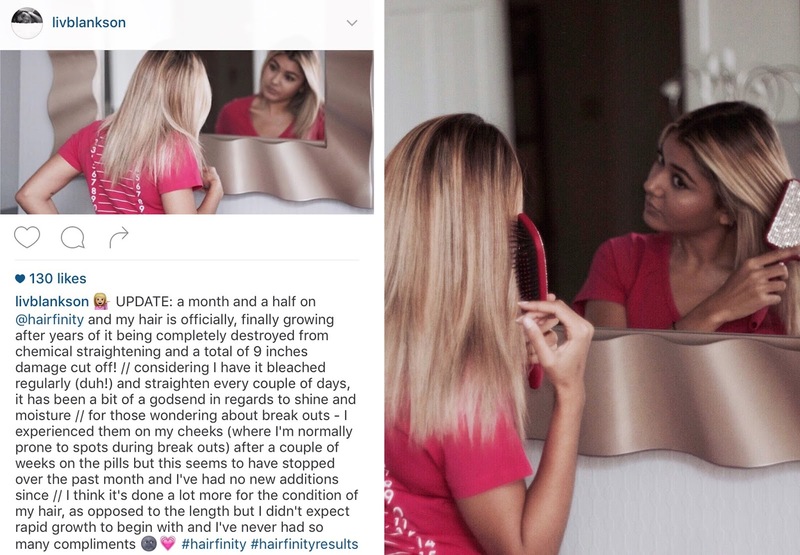 This update was after a longer period, as I took a few weeks off Hairfinity due to illness and migraines. I've been prone to migraines as a problem child (trust me, I had it all - nosebleed central over here) so wanted to test whether the pills were making them worse and also just genuinely forgot because I could hardly even get out of bed. Good news for you is, I still had them just as bad when I was off the pills. I can't say that news is much of a winner for me, as we're still no closer to finding the cause but HEY, at least we have pretty hair, right?! Oh, and nails - as a fast claw-grower beforehand, they are literally unstoppable with these! I did however notice, upon returning, that the pimples had reappeared with a vengeance and this time my forehead wanted to join the party. It took me a while to pinpoint it down to the vits, as I'd been trying a lot of new products from beauty boxes around the same time but the breakouts still stuck around once I'd returned to my original regime. My skin does tend to be quite sensitive to chemical and climate changes, so I can't speak for everyone and you may experience absolutely nothing at all, but my advice would be to stick to a one or two month supply initially and see how your lovely skin reacts. For me, and the amount it has changed my hair condition, it's definitely worth the sacrifice. I just remember to take regular breaks of 1-2 weeks between every 3-4 weeks on the pills and all is right. 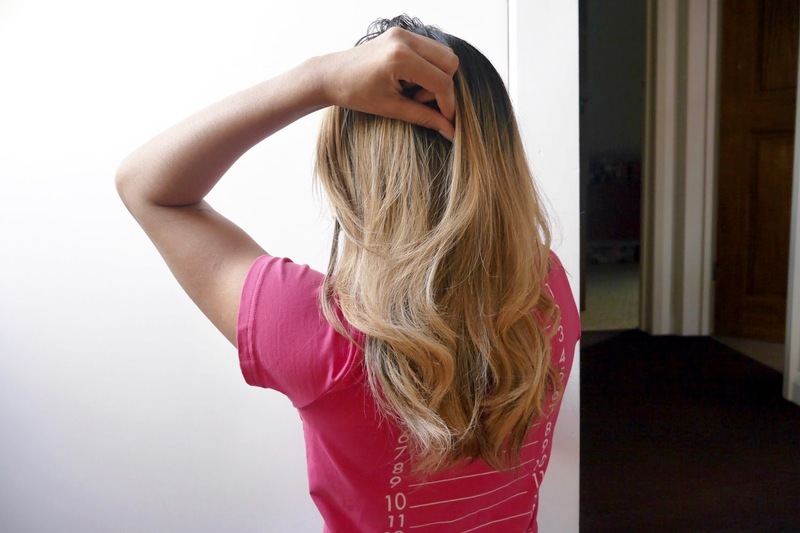 These pictures were taken more recently - the first two with freshly washed, straightened hair and the third, after 3 days, with straightening AND curling. My hair starts to get slightly drier before it needs a wash so apologies for the lack of shine but you can really see the growth here, compared to the beginning, so I had to include it! I started with only a few parts just reaching 8 inches and now, the entire length is well on its way to 9. Not major growth but, coming from someone who couldn't grow their hair properly for over 5 years, I'd call that a triumph! Results are never going to be consistent across everybody, so all research can do is give you some guidance but you've really gotta take the plunge and give these things a try! Hopefully this has helped shed some light on a decision for some of you and just for the record, the Essentious shampoo and conditioner I received with my box is bloody HEAVENLY, smells like strawberries and cream and makes my hair crazy soft, so I'll link that here too. 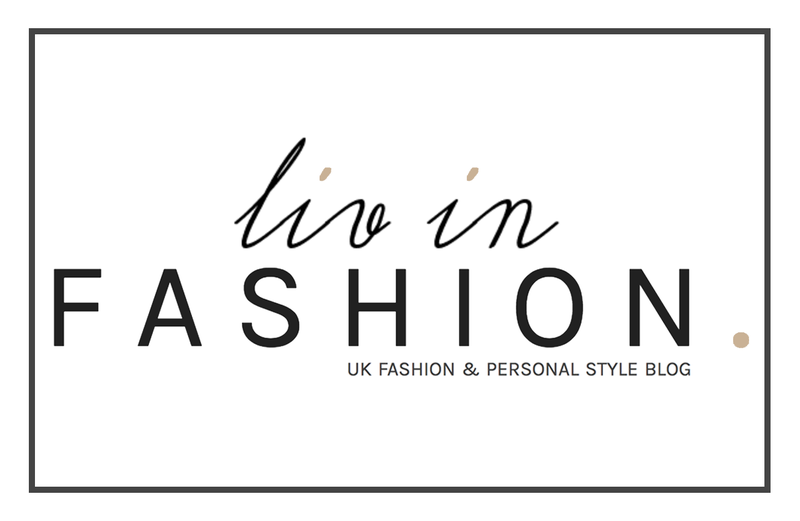 You can read up on my other beauty-related posts here and also follow me on Bloglovin' for all the latest Liv in Fashion updates.